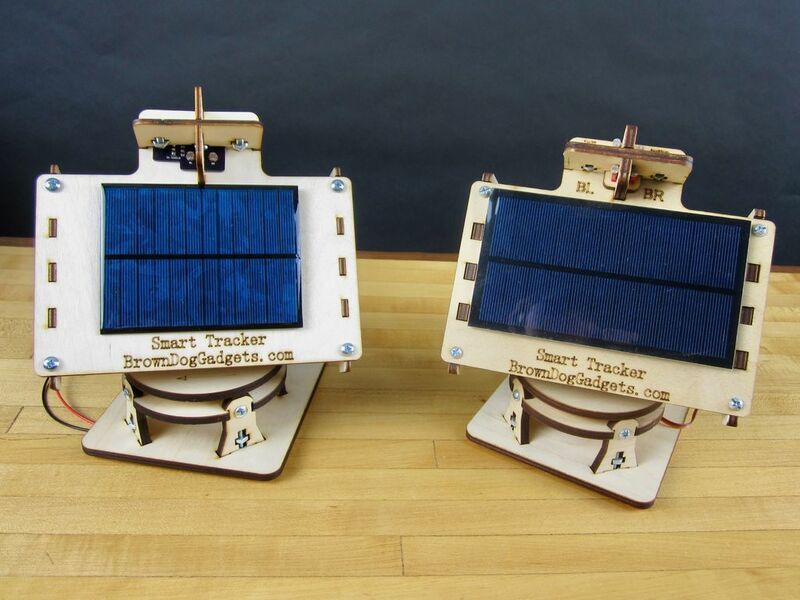 Due to the success of our original Solar Tracker project, youtube video, and the kits we were selling we received a wide range of feedback from a wide range of users. Most of it good, some of it annoying, and quite a few that were along the lines of "wiring this thing up is really darn complicated so please spend an hour on the phone with us to figure it out." With that in mind we spent several months redesigning the project from the ground up to make it a much more streamlined and easy activity. 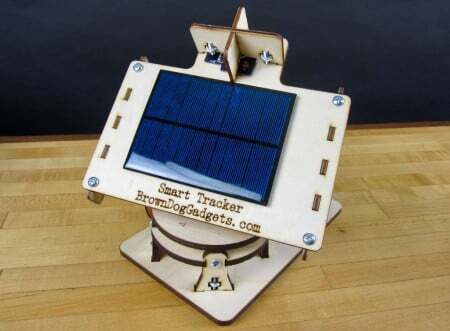 In this write up you'll find information about our upgrades, how solar trackers work, a parts list, links to our Open Source hardware, Open Source code. Our original 2015 Solar Tracker was more concerned with physical mechanics than it was about electronics and this proved to be its biggest downfall. When we started redesigning this project we made the decision to change our wiring from a 'bundle of wires' approach to an easy 'plug and play' approach since our audience tended to be students. * Full disclosure, we do sell kits and parts for this on our website. This project is 100% Open Source and you never need to spend a penny on us if you don't want to. All the files for this can be found on our GitHub Repo. 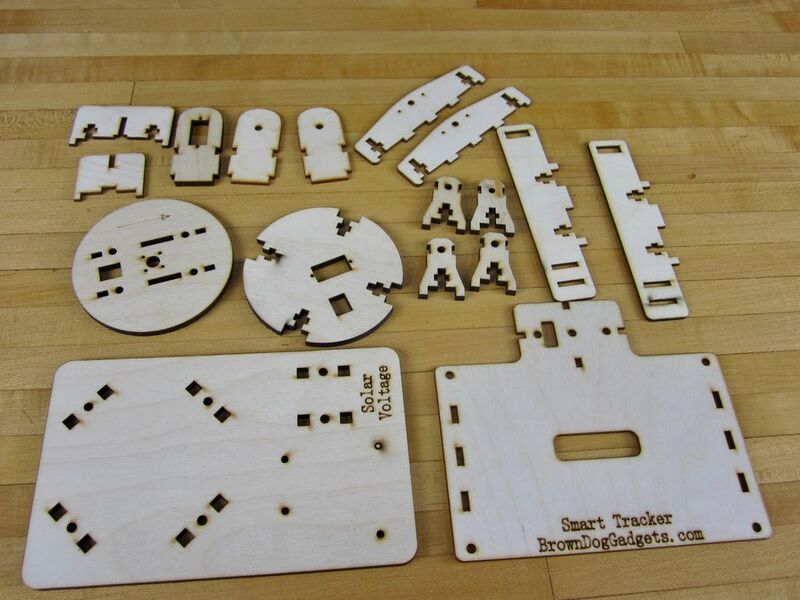 This includes the PCB files for the Shield and Sensor holder, the laser cut wood, and all our old V 1.0 files. 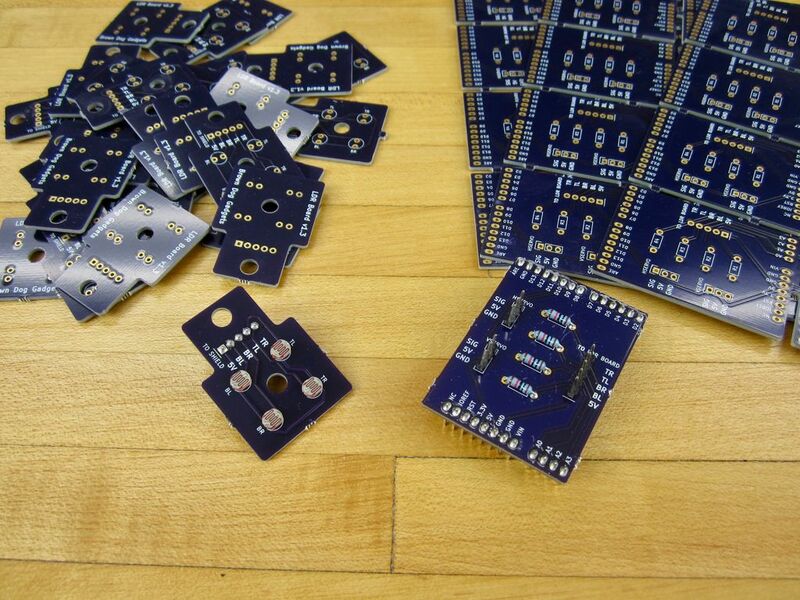 A savvy eyed builder might also see that we have an Arduino Nano PCB designed for this project as well, however it remains untested. Theres no reason why it wouldn't work we just decided not to go that route with our kits.